I have had the opportunity to cruise the Irrawaddy River in Myanmar (Burma) aboard the magnificent Irrawaddy Explorer Cruise. The itinerary was a 10-Day, 9-Night luxury adventure program that took our group down the Irrawaddy River from Mandalay to the ancient city of Bagan and ended in Myanmar’s largest city, Yangon. The Irrawaddy Explorer itinerary takes you on a once in a lifetime journey across a magnificent country, rich in history and tradition. On our journey, we visited such places as a royal palace; silk, gold, and lacquerware workshops; ancient archeological sites; gilded pagodas; massive ancient temple complexes; small river villages; Buddhist monasteries; old British Colonial towns; and many other wondrous sites. The staff and crew aboard the Irrawaddy Explorer were always helpful, polite, and attentive to the group’s needs. After each excursion, the staff and crew would meet us in front of the ship to help us aboard and offer a cool towel and fresh, refreshing drink to help beat the sun. 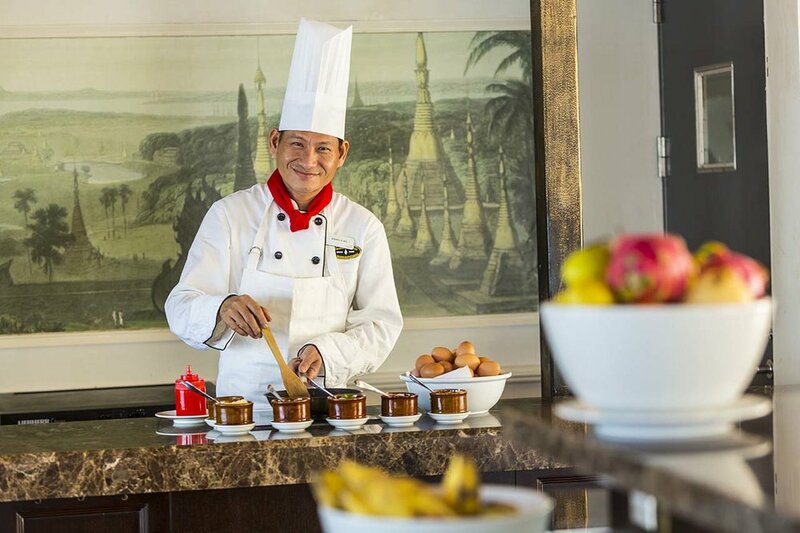 The culinary and dining room staff always made sure our food was cooked to perfection and answered any questions we had about the local cuisine. Our local, professional guides joined us from the beginning to the end of our journey. 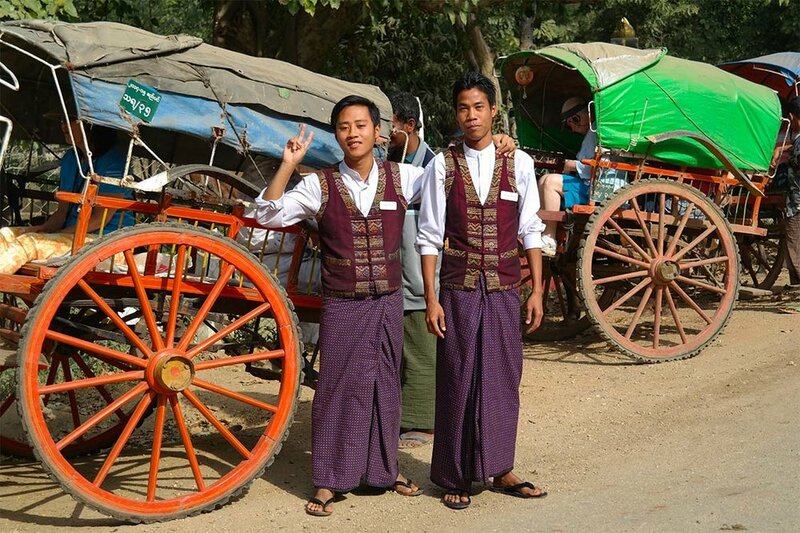 It was easy to see that our guides had many years of experience and knowledge of the culture, tradition, and history in Myanmar. 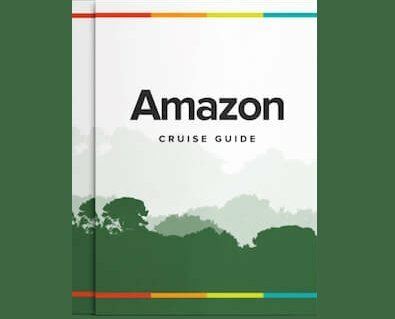 Even when the group was not on tour, the guides would be available in the public areas to answers questions and point of places of interest along the river as we were cruising. 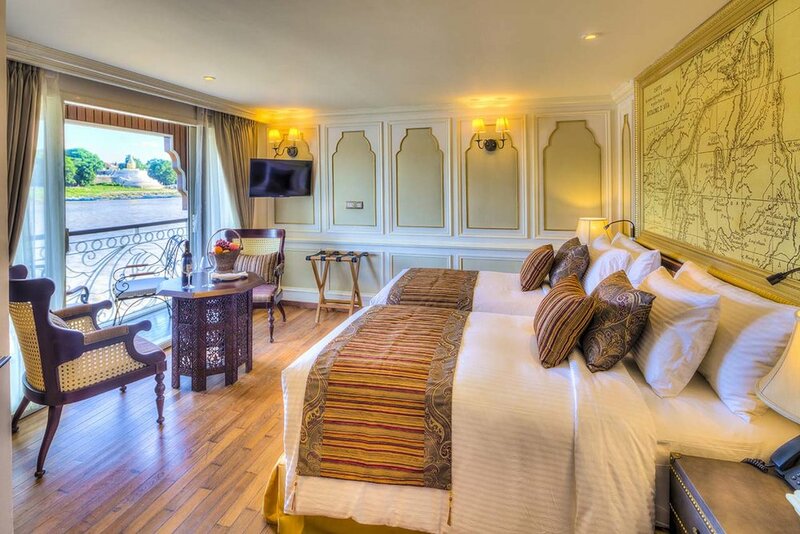 The Irrawaddy Explorer is considered and all suite vessel and for good reason. All the cabins were very spacious and clean with individual climate control, beautiful decoration, and a large well-appointed bathroom. Floor-to-ceiling glass doors/windows give you plenty of natural lighting in the cabins and allow for breathtaking views of the river and surrounding countryside. Upper deck cabins have a walk-out balcony and main deck cabins have a French balcony giving slightly more interior space. Aboard the Irrawaddy Explorer there are many public areas to enjoy while you are cruising down the river. On the Sun Deck there is an outdoor covered and uncovered lounge with comfortable, over-sized couches and lounge chairs were you can read a book, sunbathe, have a cool drink, or just watch the world go by down the river. There is also an indoor, air-conditioned lounge and bar on the sun deck with a wonderful bartender ready to make any drink you could imagine. On the other side of the lounge is the Explorer Spa and Fitness Center. The spa offers a variety of traditional Myanmar and western massages using traditional and natural remedies to sooth your body after a day of touring. The fitness center offers modern fitness equipment in a light and airy environment, with floor-to-ceiling windows overlooking the river. All meals on-board the Irrawaddy Explorer are served in the dining room. Breakfast and lunch are served buffet-style, offering a variety of gourmet Asian and Western dishes with the freshest local ingredients. A casually but elegant, multi-course dinner offer a selection of delicious traditional Burmese and local Asian dishes, as well as many Western favorites. 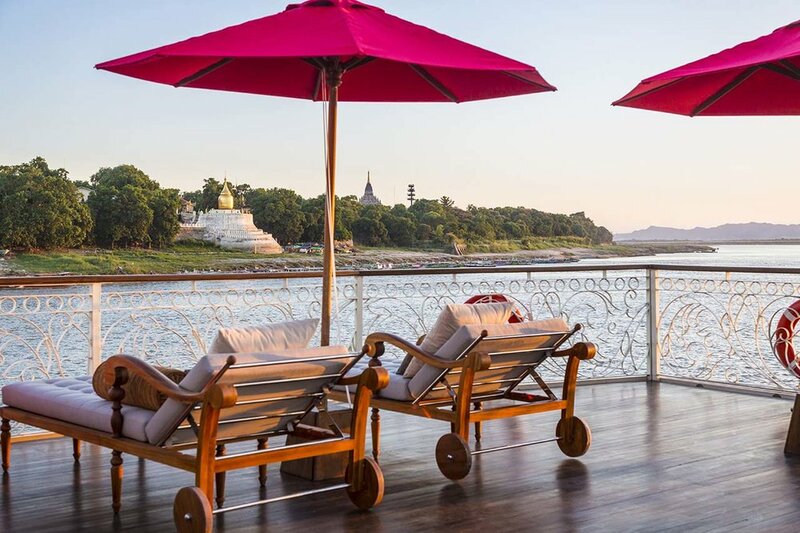 From the unique cultural experiences of the shore excursions, to the delicious gourmet meals prepared by expert chefs, if you are looking to go on an adventure in luxury and style, than the Irrawaddy Explorer cruise in Myanmar (Burma) is the perfect fit for you. Contact Us for more information.